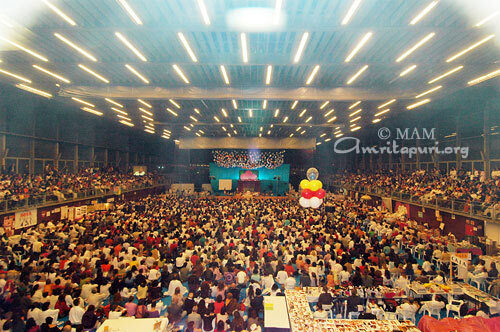 Amma held 5 days of programmes, including a three day retreat in her San Ramon Ashram in California. 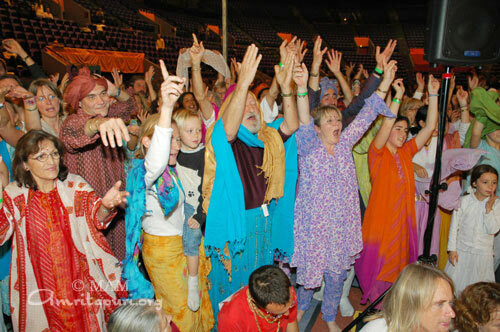 Mayor H. Abram Wilson, the mayor of the host city of San Ramon, welcomed Amma. The second day of programmes fell on Thanksgiving. 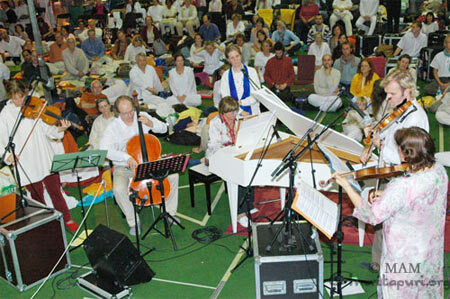 Amma gave a special satsang on the meaning of Thankfulness. 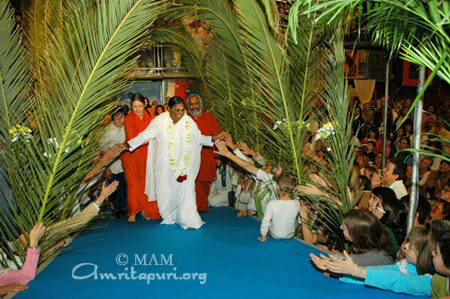 During Amma’s 21st visit to Paris, there was a general train and bus strike in the city. 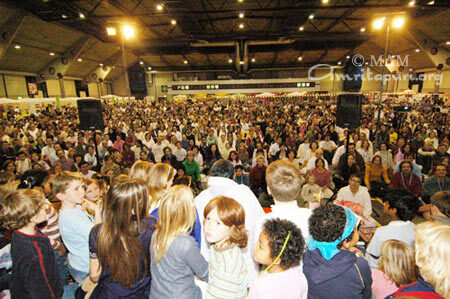 Even though there was no public transportation, thousands upon thousands persevered and made their way to the hall. Some of them borrowed cars, some of them requested their neighbours to drive them, some of them took taxis and some simply hitch-hiked. 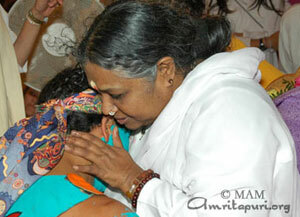 Their love for, and dedication to, Amma was such that they were prepared to do whatever was necessary. The traffic was incredible. 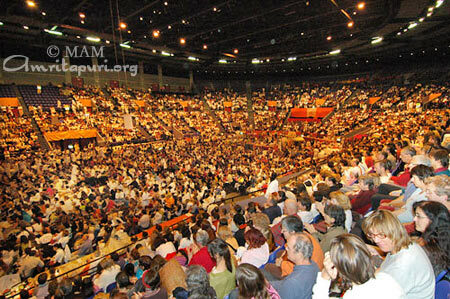 To reach the hall, even driving short distances took several hours. 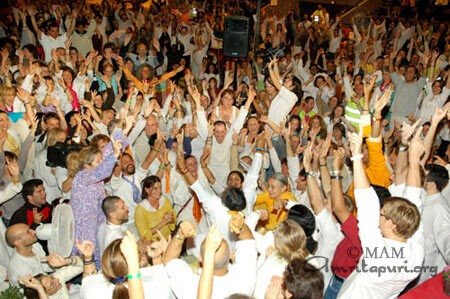 However, the devotees were clear regarding their goal: they wanted to see Amma and were willing to do whatever was necessary to do so. They exhibited great patience and forbearance. 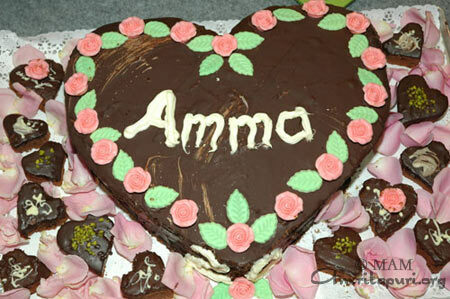 Love for Amma, helped them to sacrifice and attained their goal. Similarly, in life, when we have a great love for the goal, we will be able to endure the hardships on the way. 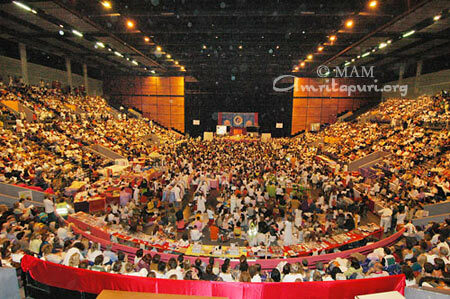 Amma held two days of programmes in Dublin, Ireland. This marked the 4th year Amma has visited the country. 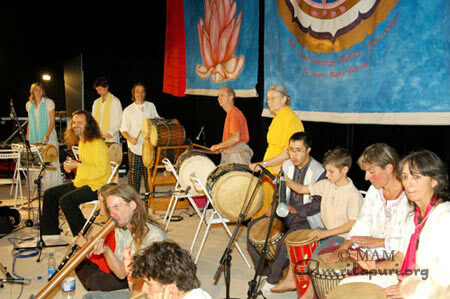 The famous Irish Band “Kila” returned for the second year to play for Amma. Indian Ambassador H.E. Mr. Saurbh Kumar garlanded Amma and welcomed Her to Ireland. Rachel Porter, a writer for the UK National Newspaper “Daily Express”, came to write an article about Amma before Amma’s visit to London on December 5-7. The South African Ambassador H.E. Ms. Priscilla Jana spoke to the gathered crowd, “Let us gain from your strength, courage and your commitment, so that together we too can make this world a better place for all. 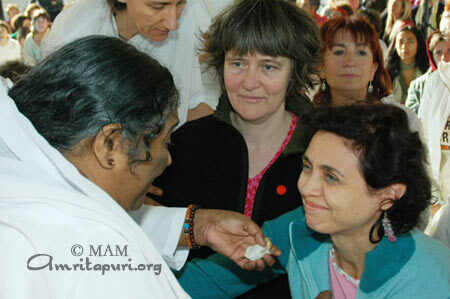 After the programmes, while waiting in the Dublin Airport for the flight to Paris, Amma lovingly gave darshan to a number of Airline Attendants. 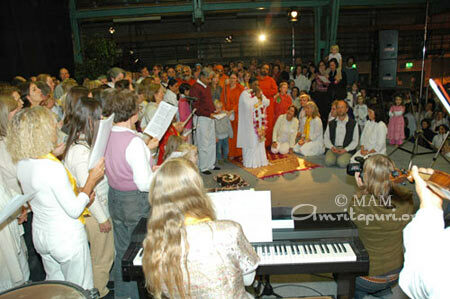 Amma held three days of programmes in Paris. The Indian Ambassador to France, H.E. Mr. Ranjan Mathai, as well as the Mauritius Ambassador to France, H.E. 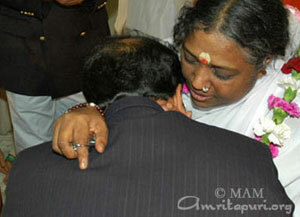 Ms. Indira Thacoor-Sidaya both came to receive Amma’s blessings. 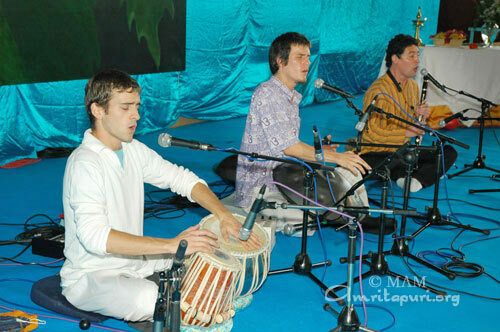 Marc Vella, a famous French piano player, performed on stage for Amma. Francis, the man who drives Amma when she is in Paris, has been a devotee of Amma since she first began visiting Paris more than 20 years ago. 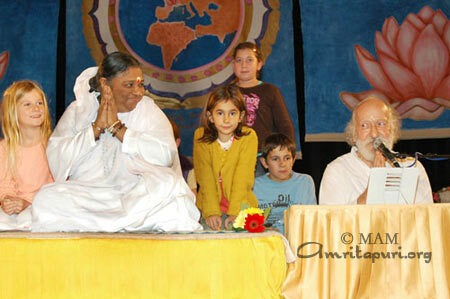 This year it was very cold when Amma was in Paris. Some nights it got down to -9 degrees Celsius. 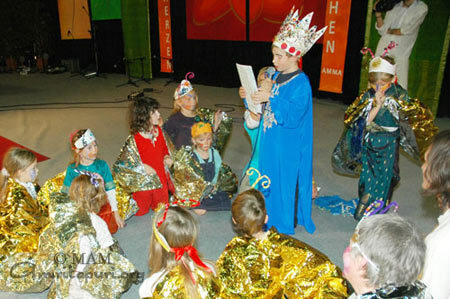 As such, on the second night of programs, a layer of frost formed on Francis’ car as it waited outside the program-hall door to take Amma back to her room. Seeing this layer of frost, a boy around 10 years old, wrote the word “love” on it with his finger. When Francis saw this, he was a bit upset. He rebuked the boy, telling him that he did not like anybody writing on his car. The boy became a bit sad and walked away. 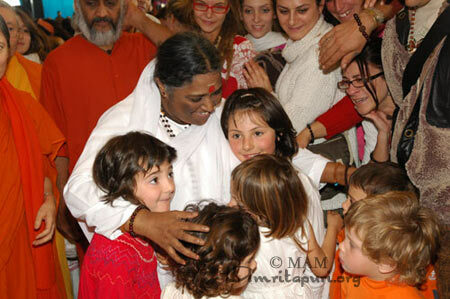 A few minutes later, Amma came walking out of the hall with her hands outstretched, touching all of her children one last time for the night. 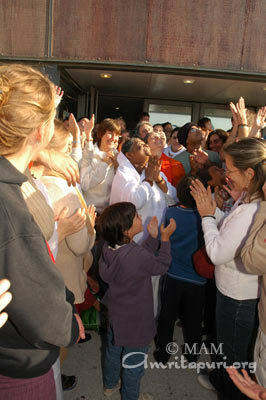 When Amma reached Francis’ car, she noticed the little boy’s “love” written on the car. Amma then decided to write something of her own, marking with her finger “Om” in Malayalam script next to the “love.” When Francis saw Amma writing on his car, he was overjoyed. Even as he drove Amma away in the car, he was thinking about the best way to preserve what Amma had written. 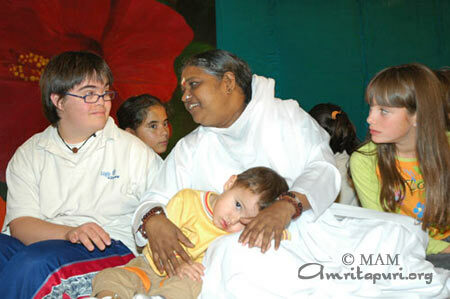 Not wanting Amma’s words to be wiped away by the wind, he drove slowly and cautiously. 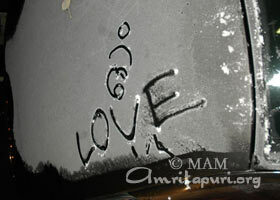 As soon as Amma left the car, Francis got out his camera and took several photos of Amma’s “snow graffiti.” During the entire next day, Francis proudly showed the picture to everyone, declaring that Amma had written “Om” on his car. 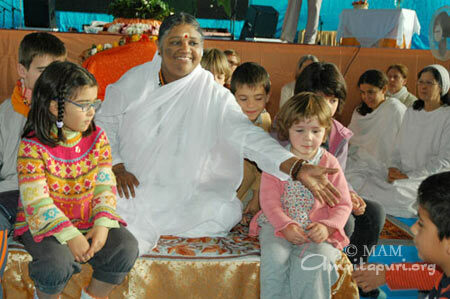 Around Amma, life is constantly teaching us lessons—tiny words written in the snow with the power to transform sorrow to joy. 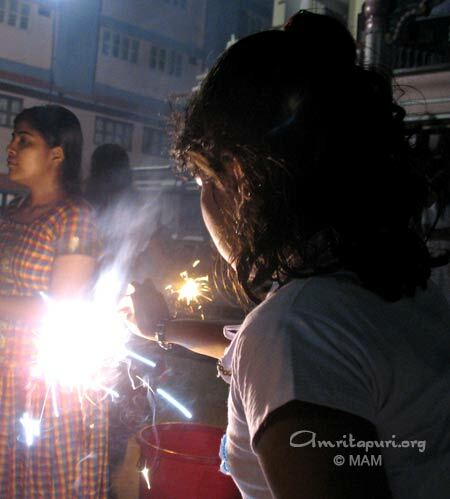 When Amma arrived, she was greeted by devotees waving sparklers in celebration of Diwali – the Festival of Lights. 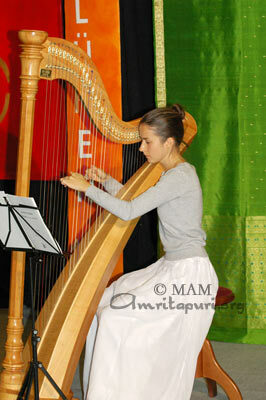 During the program, a young artist played the harp. 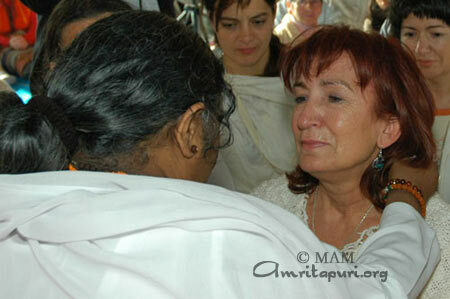 Several delegates and diplomats came to receive Amma’s blessings. 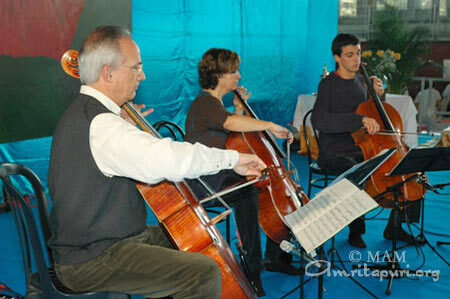 A local group played a mix Indian Classical and World music. 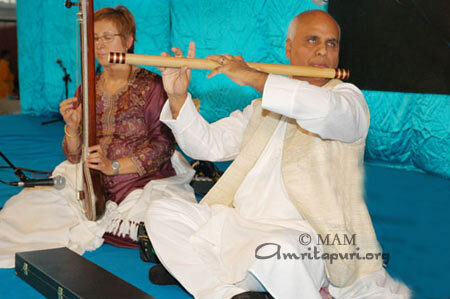 Tablas and a traditional Australian Aboriginal didjeridoo accompanied a Sarod. Public Defender and Civil Rights Protector, Fernando Oteros came for darshan. 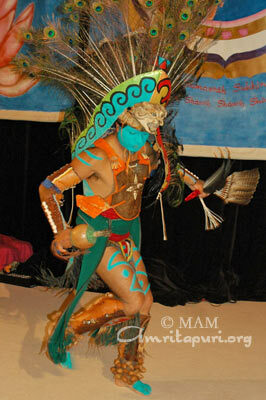 He said, “This a very emotional experience for me. For many years, nobody gave me that kind of love and sincerity. 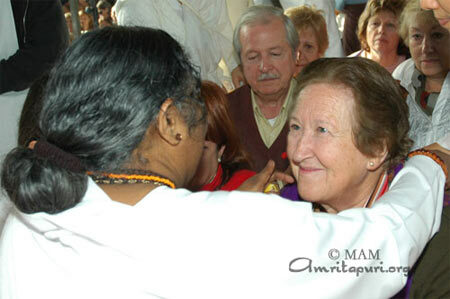 There are many people who make promises and use a lot of nice words, but Amma, without speaking, truly transmits tranquility, and I leave with that satisfaction today. 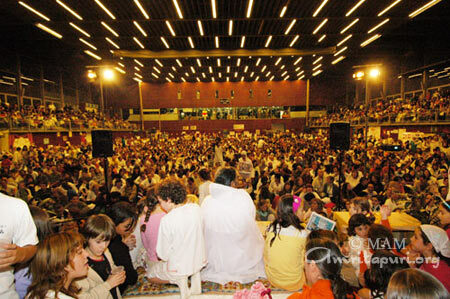 As Amma was leaving the hall after the final programme, in what has become a tradition in Barcelona, people spread out their shawls on the floor to make a colorful carpet for her to walk on. 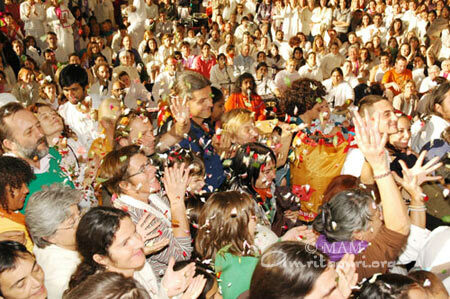 The devotees presented her with 10 balloons, each with the the number 10 written on them. 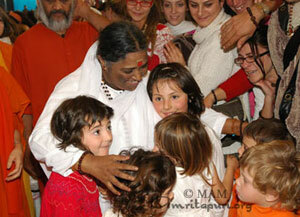 They were for the 10 consecutive years that Amma has come to Spain. 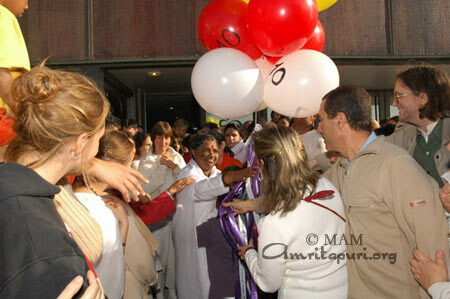 Amma held the balloons for a moment and set them free into the Spanish sky.